The index opened flat but saw huge buying interest from the start to scale one resistance after another to move above 8400 but closed just below at 8395.45, huge gain of 111.45 points. The broader market was also positive, with 1051 advances to 488 declines. Range as per OI Table is 8000-8700. Call option 8700-8900 added huge 9.44 lacs OI with short covering seen at 8400 and below strike prices. Put option 8400 added huge 9.56 lacs OI with profit booking seen at 8300 and lower strike prices. 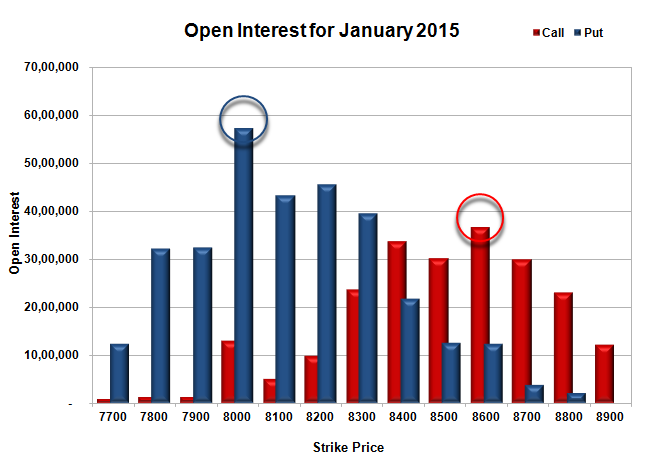 Nifty Open Interest is at 2,14,27,925 up by 2,87,375, with increase in price, most probably long build-up. 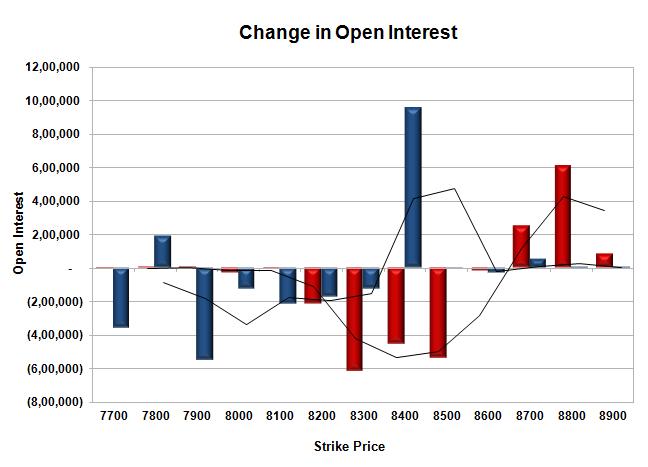 Bank Nifty Open Interest is at 20,10,575 up by 50,125, with increase in price, most probably long build-up. FII’s bought 4.97 lacs Futures, which includes 18275 contracts long build-up and 1609 contracts short covering, with increase in net OI by 16666 contracts (includes 48761 longs to 28877 shorts for the day) and the Average Price comes to 8707.48. FII’s Index future open contract as on date is 622785 Longs to 79980 Shorts, net long 542805 up by 19884 contracts. Initial support at 8400, with huge OI addition of 9.56 lacs for the day and below that at 8300 with OI of 39.55 lacs. Initial resistance at 8500, with OI of just 30.62 lacs and above that at 8600 with OI of 36.62 lacs. 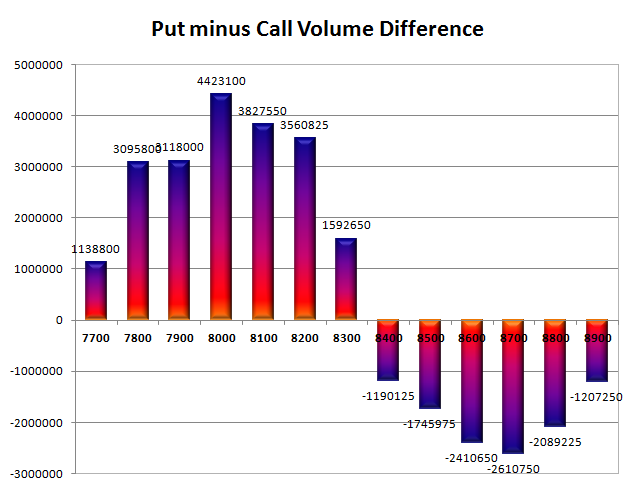 Day Range as per Option Table is 8308 - 8437 and as per VIX is 8335 - 8456 with 8365 as the Pivot.